Richard Serra worked in a steel mill while a college student on the west coast. They may help to explain the choice of materials that he used in his sculptures. 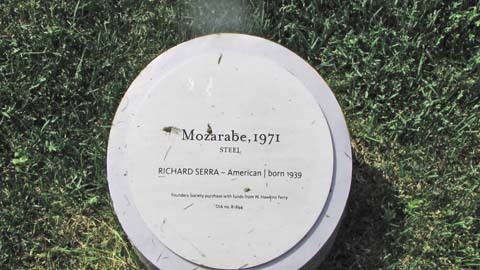 Serra, born in California in November, 1939, attended college at campuses of the University of California at Berkeley and Santa Barbara. I believe that he began his study of art and sculpture at Santa Barbara. He spent three years enrolled at Yale’s School of Art and Architecture. He then studied in Rome, Florence and Paris. He produces abstract and minimalist works similar to the one pictured on this web page. Early in his career, he worked in rubber and fiberglass, but later moved into steel and that is the substance used in most of his sculptures. Apparently, he is very aware of how the color of his sculptures will change as they age. A New York Times writer identified him as a Titan because of his innovative use of steel in modern minimalist sculpture. His works appear in many prominent sites, including the new Guggenheim Museum in Bilbao, at the home of the Berlin Philarmonic and on the campus of the University of California in San Francisco, the city of his birth. In 2002, Eli Broad—who graduated from Detroit’s Central High School and Michigan State University—became extremely wealthy in the insurance business. He moved to Los Angeles and has become the very generous and dominant supporter of the fine arts in that city. 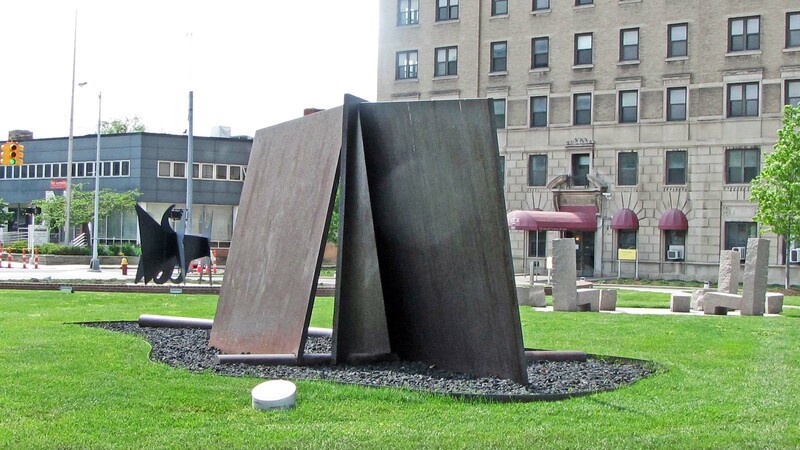 He commissioned Richard Serra to design a large sculpture for the California Institute of Technology.